This master plan redevelops eight blocks of performance and entertainment venues on the north edge of Seattle Center, which was the site of the 1962 World’s Fair. 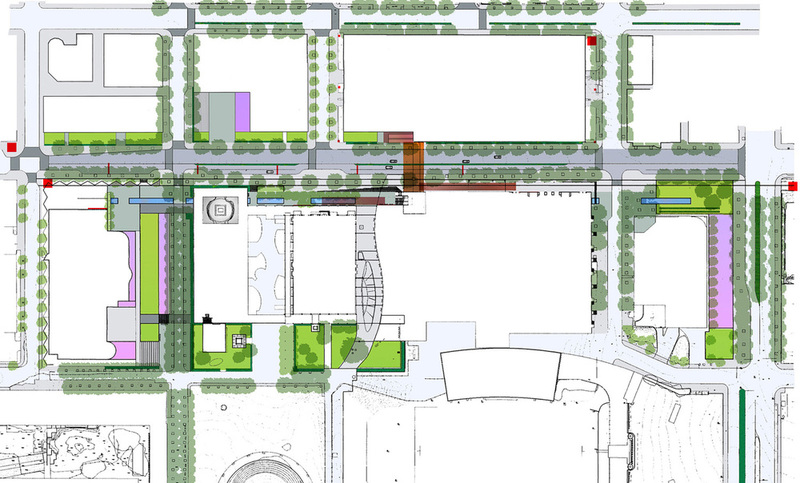 The master plan for this district of world-class venues includes a Clean, Green, and Grand streetscape design, in order to make way-finding easier and the streetscape more inviting during the day. Architectural modifications are suggested for what was once the ‘back side’ of the 1962 World’s Fair buildings that house the venues. Traffic modifications in the master plan maintain arterial function of Mercer Street while increasing safety and comfort of pedestrians. A grand lighting scheme creates a timeless, site-specific, and unifying identity for the venues in the District. 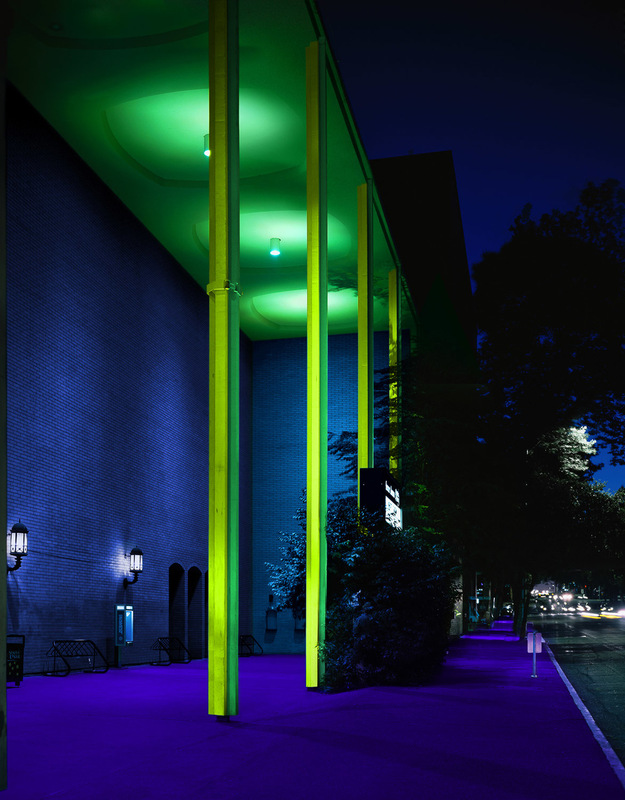 This Planes of Light scheme evokes the imagery of colorfully lit theater districts, in a method that reveals no visible light fixtures. Light is not an agglomeration of objects but a transformation of existing surfaces into planes of color and light.